On July 9, the Natural History Museum of Utah will host a DNA Fest presented in part by Utah Genome Project and USTAR Center for Genetic Discovery investigators. With hands-on activities, families are invited to explore the genome and genetic traits, and learn what they are and how they are advancing medicine and technology today. On that day, members of communities from across the Wasatch Front will be brought to the museum, and translators will walk them through the exhibits in their native languages. Will Dere, M.D., F.A.C.P. - Co-director of the Center for Clinical and Translational Science and Executive Director of the Program in Personalized Health who directs programs aimed at customizing treatments to the individual patient. Joshua Schiffman, M.D. - Pediatric oncologist who treats children with inherited cancer and is researching novel cancer treatments. Karin Dent, M.S., C.G.C. - Genetics counselor who researches ethical challenges associated with genomics research. Steven Bleyl, M.D., Ph.D. - Researches the genetic basis for congenital heart defects. Sean Tavtigian, Ph.D. - Researches the genetics of cancer. A second public lecture will take place on August 9, 2016 at 7:00 p.m. Eric Green, Ph.D., director of the National Human Genome Research Institute will give a talk titled, “Human Genomics, Precision Medicine, and Advancing Human Health”. The public events are being held in conjunction with an interactive, traveling exhibit, “Genome: Unlocking Life’s Code”, that explores the mysteries of the genome - the complete set of instructions every living thing needs to function. The Natural History Museum of Utah exhibit features Utah’s unique and valuable contributions to advances in genomics and precision medicine. Custom displays explain the genesis of the Utah Population Database (UPDB), rooted in Utah’s culture of family and detailed geneaology records. Today UPDB is the largest database of its kind, representing over 8 million members connected to 23 million records, it works like a magnifying glass to uncover inherited mutations that cause disease. The Utah Genome Project is leveraging UPDB to investigate genetic contributions to dozens of conditions from cancers to heart disease to healthy aging. In collaboration, the USTAR Center for Genetic Discovery is the computational engine of UGP, innovating technologies to mine secrets from our genetic code. 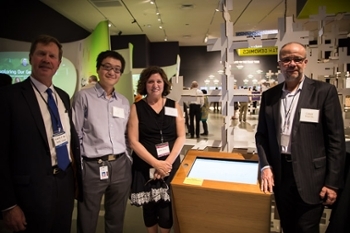 A custom, interactive exhibit allows museum visitors to give it a try themselves. 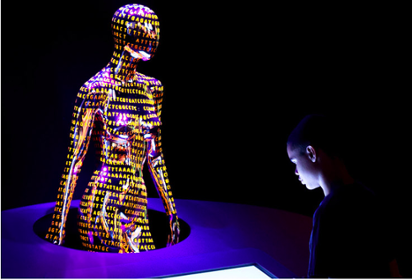 Genome: Unlocking Life’s Code will be on exhibit at the Natural History Museum of Utah through September 5, 2016.